The coach of new IPL team Pune Supergiants Stephen Fleming on Friday made light of the speculations over retirement of Mahendra Singh Dhoni from international cricket and hailed his “remarkable” fitness. Asked about Dhoni’s future in the context of India’s loss on Thursday in the World Twenty20 semi-final, Fleming said what he saw in him was a “sprightly wicketkeeper batsman, a fresh captain with a remarkable fitness”. In reply to a question, Fleming, interacting with reporters about Pune Supergiants for the forthcoming IPL season, did not visualise any possible “conflict of egos” in the team that also has Australian captain Steve Smith and South African skipper Fa du Plessis. “Leadership can take many forms. MS Dhoni is an inspiring captain who is open to ideas,” he added. Fleming said the Pune team has a good blend of overseas players and young talent. With Dhoni as captain, the team has players like Mitchell Marsh, Kevin Pietersen, Ajinkya Rahane, Ravichandran Ashwin and the two overseas skippers in Fa du Plessis and Steve Smith who has had a stint with the Pune team in earlier edition. “We are very excited about the squad that we have compiled and cannot wait get underway. We will be training here in Pune for the next week before heading to Mumbai for the opening game. 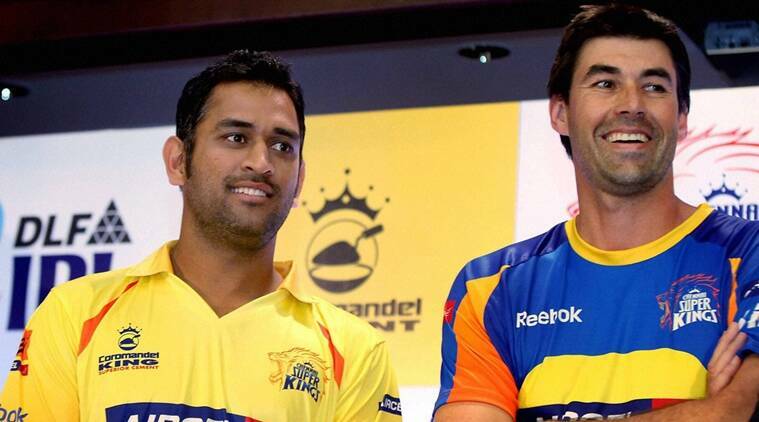 There is a lot of work to do being a new franchise and new team,” Fleming commented.